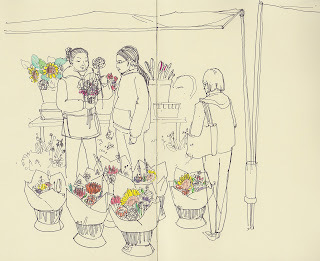 Urban Sketchers Seattle: Ballard Farmer's Market! I'm looking forward to being a part of all the great work that everybody is contributing. Thanks Gail and Gabi for the invite! Great sketches Olivia. Can you post them bigger. It is hard to see detail and when I click on the image it doesn't enlarge the photo. Great to have you on board! Glad you made it, Olivia! 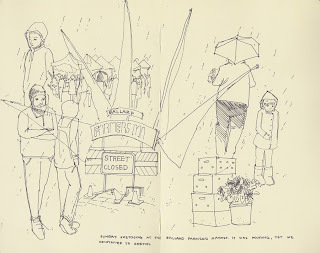 Olivia, great sketches. Enjoyed the touch of color. I really like your work. You've got a great style...clear and clean.